Scientific studies prove his concerns about bacteria and virus contamination are justified. Worry about negative health effects caused by bacteria and viruses that may be widely spread by air dryers in washrooms has even apparently reached the Royal Family in the UK. On an official visit last year by Prince Charles to a Community Heritage Centre near Leicester, the Prince’s aides told local staff that he would bring his own hand towels and would not be using the air dryers. This is interesting. And smart. Around 10 years ago, concern began rising about the possibility that bacteria and viruses were being spread by air dryers, specifically the new generation of jet-air-dryers (JAD). That led to numerous scientific studies, with some of them funded by the European Tissue Symposium (ETS), the European tissue paper association. These first results then stimulated further scientific studies, some of which were done totally independent of ETS funding, designed to better understand the possible dangers. The systematic hygiene studies done since 2008 have consistently shown that JADs do indeed spread microbes such as bacteria and viruses. 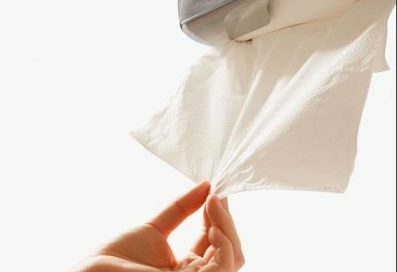 The first such study, done at the University of Westminster in the UK, concluded that JADs dispersed contamination from the hands for distances of up to 2 meters, versus paper towels which showed no significant dispersal beyond 0.25 meters. Following this, at least six more major studies have been done by academic institutions and professional testing laboratories. Originally looking only at the presence of microbes on hands after drying, the next studies went progressively deeper to assess microbes on surfaces in the washroom. The most recent, and most concerning, research has studied microbial presence in the air, especially coming from JADs. With air blasting at 650 km/hour, the JAD aerosolizes the potentially pathogenic (disease causing) bacteria and viruses remaining on poorly-washed hands and spreads them over incredibly long distances. The counts can be hundreds and even thousands of times higher than those registered with paper towels. Viruses cannot be treated with antibiotics, which makes illnesses caused by viruses more difficult to cure than bacteria-related ones. At the same time, viruses are physically much smaller in size, so they fly much further when aerosolized. In 2016 a laboratory study was done at the University of Westminster, without ETS funding, by leading microbiologists Dr. Patrick Kimmitt and Keith Redway of the University of Westminster, looked specifically at virus dispersion. The result were astounding: The JADs spread over 1,300 times more viral particles than paper towels and 60 times more than older warm-air-dryers. A study done in 2012 in Germany by the independent laboratory Eurofins/Inlab concluded that similar risks occur in real life. In research funded by ETS, Eurofins chose 150 washrooms independently, without any influence by ETS for study. 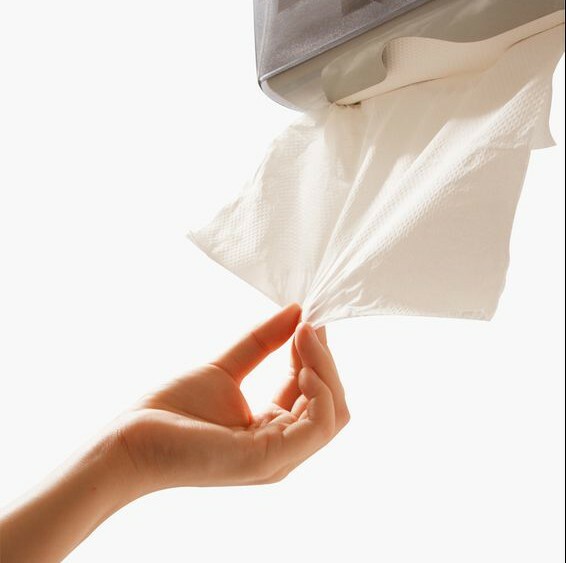 Conclusions showed that, on average, the user of a JAD is likely to be exposed to over 1,000 times more micro-organisms than the user of a paper hand towel dispenser. This was shown to be true both for the total bacterial count, and specifically for the Staphylococcus (or Staph) bacteria. Most recently, research done in 2016 in Amsterdam tested people’s preferences in a “head-to-head” comparison of JADs versus paper towels. Men’s and women’s restrooms in the RAI Convention Centre were fitted with both JADs and paper towel dispensers, side-by-side. Actual human behavior was then observed and recorded for several thousand visitors when washing their hands after using the facilities. The results are extremely conclusive: When given the direct choice between the two drying methods, an astounding 90% preferred paper towels to dry their hands. Essentially all of these studies indicate, in one way or another, a preference for paper towels, which of course are mainly based on easily-renewable wood fibers. With renewable resources being a hot, positive topic these days, the story for paper towels gets even better. Anyway . . . Coming back to Prince Charles. Although we did not observe exactly how he dried his hands, it certainly seems that his concerns regarding air dryers are valid. When you have the choice between paper towels and air dryers, it might be smart for your health’s sake to choose the paper. And, if you wish, you might also want to spread the word and share this information with other people. Please click on your favorite social media bellow. Thank you!